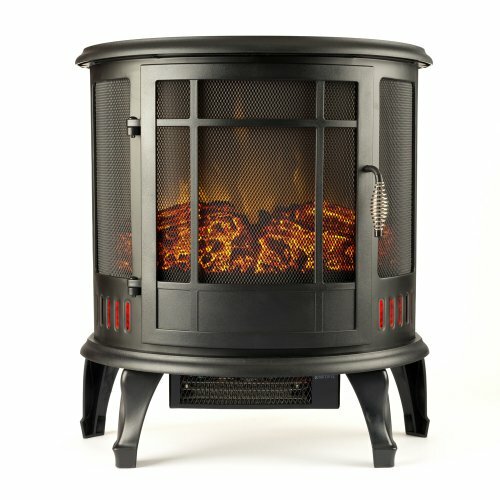 The VonHaus portable electric fireplace is an attractive stove design that has a black finish and goes with almost any decor. As seen in the images, it is designed to have a ‘cast iron’ look though it is actually a tough durable plastic. From any distance it does look like cast iron, they did a nice job in the looks department. The VonHaus 1500W Portable Stove Heater Fireplace has a classic retro look about it, and it will look the part in any room in your home, your garage or even in your office. Because of its compact size, and light weight it is very portable. Pick it up, move it and plug it in, easy peasey. It has good ambient lighting and will provide additional heat for your room. This fireplace will certainly make your room look and feel warm and cozy. The fireplace has a vivid and realistic looking log flame effect. The brightness of the flames can be adjusted to suit your requirements. It is possible to use the fireplace only with the flame effect and without the heater being switched on. There are two incandescent light bulbs that provide the lighting. The fireplace has a display window for viewing the flame effects. The door panel opens and can be left open or partially closed for different effects. The door and top do not get hot. The flame effect is pretty realistic and better than most other electric fireplaces. You cannot change the color of the flames with this fireplace. It is designed for realism rather than fancy special effects. The flame effects are silent on this unit, no crackling sounds. The heater on this fireplace is located at the bottom of the unit, and hot air is forced out through a vent at the bottom. 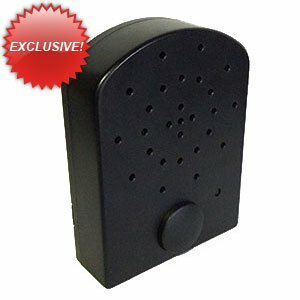 The heater has a maximum output of 1500 Watts. There are three heat positions which are high heat (1500 Watts), low heat (750 Watts) and no heat. The heater is quiet when it is in operation, which is a plus. There is a thermostat dial control on the unit which can be used to control the temperature of the room. The heater will switch off when the desired temperature is reached, and switch back on again if the temperature drops below this point. I believe it is very important that everyone purchasing an electric fireplace heater of any type be aware of the limitations of these units. With very rare exceptions and this electric fireplace heater is no exception, an electric fireplace heater is best thought of as a supplemental heat source. Quite simply they will not heat your whole house and will struggle in an open concept living area. The limiting factor is the capability of a standard household plug and circuit, not the unit itself. Almost all are designed to heat up to 400 square feet. That is about the best that can be done without going to 220 volts, a dedicated circuit and custom installation. There is no remote control with this fireplace, and all of the controls are at the front of the unit behind a drawer that folds down. There is an on / off switch which is located at the bottom right of the fireplace. This will either supply power to the unit or remove it. When the fireplace is turned on, the flame effects will start but the heater will not be turned on. There is a switch for the heater which can be turned to high heat, low heat or no heat. There is also a thermostat control where the desired room temperature can be set. The last control is the adjuster for the flame brightness. There is no timer with this model. The power cord is around four feet in length. ” Nice , natural fire look”. There were many customers who commented on the heat output of the fireplace. The manufacturer did not make any claims about the size of the room it could heat, but most people were satisfied overall. One customer said that it could heat 750 square feet easily. it could be easily transported from room to room. It only weighs 18 lbs. A lot of people remarked on the ambience that this fireplace provided. There were some positive comments about the realism of the flame effects. There were a number of customers that liked the style of the fireplace and its classic lines. Some described it as “nice looking” while others said that it was “beautiful”. 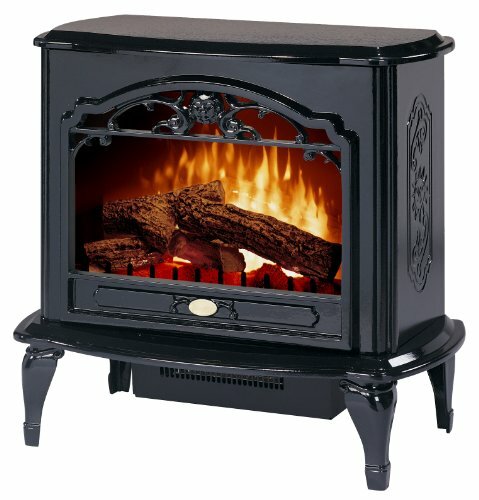 The low price of this fireplace made it a favorite with a lot of customers. It is such a good value that some customers said that they would buy at least another one for their other rooms. “The fireplace is not well made.” – it has a “plastic-y” appearance. There were a couple of comments about the fireplace getting very hot and being dangerous. These comments were in the minority and this should not happen. One or two people felt that the fireplace was cheaply made and not built to last. This was contrary to the majority view and is not considered to be a major problem. These customers felt that the heater unit should have been more powerful, and they were disappointed by the heating output. This is in total contrast to what the majority of customers thought. The fireplace has a built in safety cut off should the unit become too warm, and this will stop the fireplace from overheating. 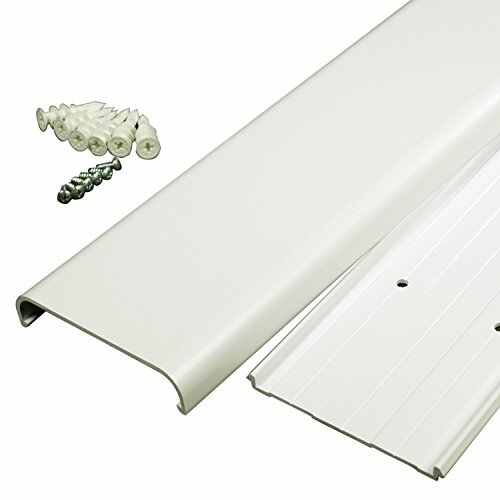 It is CE approved (the European version of UL approved). Take it out of the box, read the manual. What does that mean? If you use your unit in high heat mode for 2 hours a day for a month it will bump up your electric bill by about $6 per month. In flame effect only mode, same conditions your bill would go up by $2. This fireplace measures 21.3 inches in height by 16.4 inches in width and 11.1 inches in depth. It only weighs 18 pounds, and can be moved from room to room very easily. 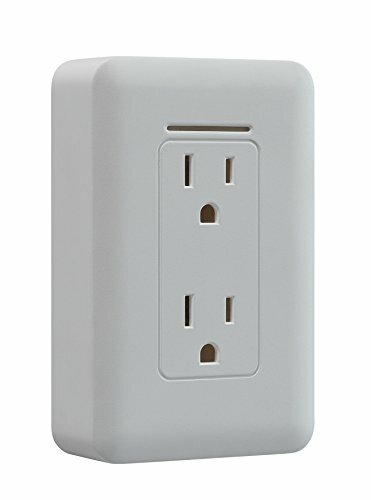 It uses a standard 120 volt electrical outlet. 2 prong plug. There is nearly universal praise and accolades for this fireplace. Of the nearly 40 reviews we surveyed, only 4 were not the highest star rating . Three of those four people rated the fireplace only one notch below the highest rating possible, and only one person was dissatisfied because of a mechanical noise. At well under $100 at the time of review, the combination of low price and good features make this a great choice. It is a great value. 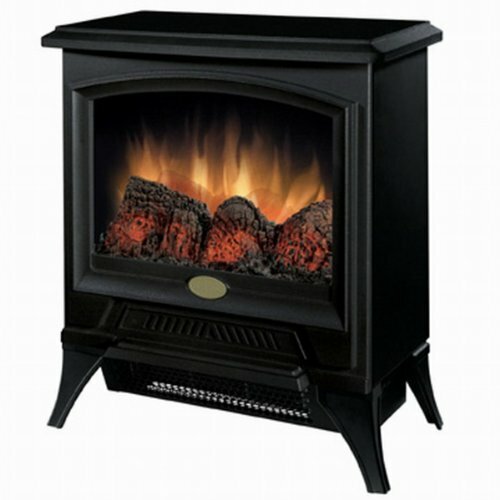 Although there are higher priced compact electric fireplace stoves you really don’t gain much in features and performance. 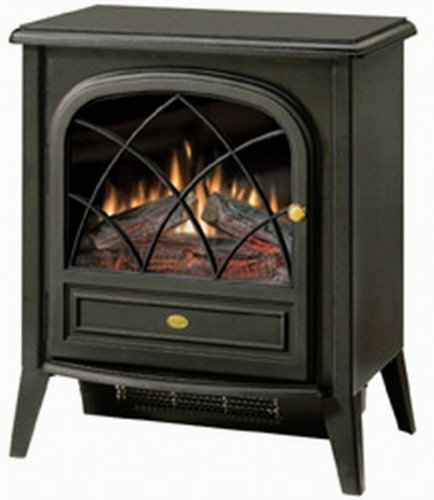 Price plus good performance make the VonHaus electric stove fireplace heater a great value. Of the entire customer reviews submitted for this fireplace, 65% of them awarded a 5 out of 5 star rating and a further 15% gave a 4 out of 5 star rating. This is a 75% overall very good to excellent rating which is great for an electric fireplace at thic price point. 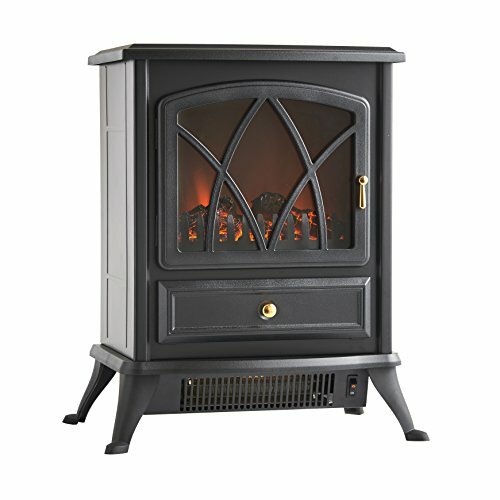 We hope you enjoyed our VonHaus Portable Electric Stove Fireplace review.